Over our history Quakers have taken several divergent paths in theology and religious practice. Rather than having a centralized authority as some denominations do, Quakers are organized into voluntary regional associations, and some regions have more than one association, reflecting differing practices and beliefs. Berkeley Friends Church is part of the Western Association of the Religious Society of Friends (WARSF). 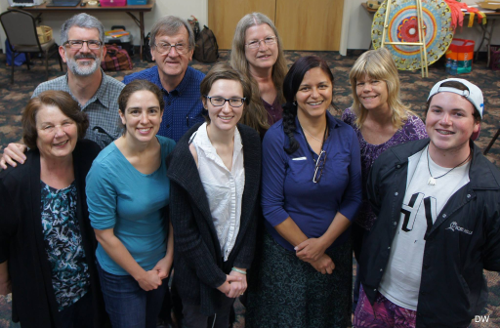 WARSF facilitates our connection to Friends United Meeting, a worldwide body of Friends based in Richmond, Indiana and in Kisumu, Kenya, as well as the Friends World Committee for Consultation. We also participate in the American Friends Service Committee (Philadelphia, PA), Friends Committee for National Legislation (Washington, DC), and the Friends Committee on Legislation of California (in Sacramento). Our relationships with each of these organizations help us to participate in the wider work of Friends for peace, social justice, and mutual understanding.